Ōtaki College is committed to growing tomorrow’s leaders. As the year progresses it is encouraging to see students at the college still keen to take on opportunities and do well as they “strive to be the best that they can be”. We continue to, not only offer students opportunities to develop academically, but also to build on their leadership potential through optional courses. One of the key messages is that to reach your full potential you have to work hard and be aware that this may not happen overnight. I want to congratulate the students who have challenged themselves so that they can become the leaders of our future. 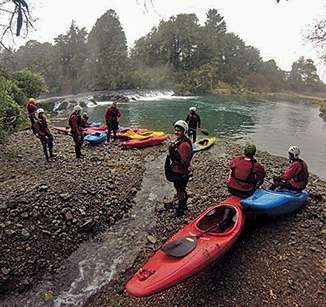 Ōtaki College initiated the Kia Tu Rangatira project in conjunction with Kapiti Coast District Council, Nga Kakano Youth Council and our 4 other secondary schools in the Kapiti region (Kapiti, Paraparaumu, Te Kura Kaupapa Maori o Te Rito, Te Kura-a-iwi o Whakatupuranga Rua Mano). It was agreed that each kura and Nga Kakano would identify 5 students to attend two initial wananga run by Marcus Akuhata Brown and his TUIA team of presenters. Marcus Akuhata-Brown grew up on the East Coast of the North Island of New Zealand. His father is from Te Whanau o Tuwhakairiora of Te Araroa on the East Cape, also the tribes of Ngai Tahu and Kahungunu. His mother is a fifth generation New Zealander with European ancestry. An experienced educator and gifted communicator, Marcus has led a number of innovative programmes around the world. 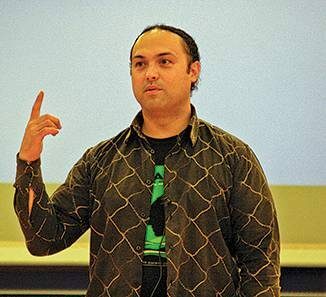 In New Zealand his work has initially focused on addressing the learning and developmental needs of youth at risk and young offenders. From 1996 to 2004 Marcus travelled all over the world as a diplomat, international representative and delegate to multilateral meetings. Marcus was a Director on the international board of CIVICUS as well as being an ex-officio member of the Commonwealth Youth Caucus. Marcus founded Tukaha Global Consultantcy in 2000 and currently divides his time between speaking and consultancy work and land development activities in his tribal area. The inspirational leadership shown by Marcus and his Tuia team has already made a huge impact on the students who have attended wananga one. 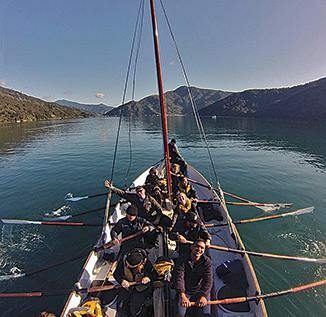 They are eagerly awaiting wananga two with the challenge of looking at how, as a group of young leaders, they can make a positive difference to their kura, their community and their Iwi and hapu. I want to thank Erin McArley, Amelia Carpenter, Wiremu Temperton-Royal, Victoria Shelford and Elijah Tapine-Miller for taking up this wero. These awards are designed to ­celebrate promising young leadership in every primary and intermediate school in New Zealand in association with Westpac. Sir Peter Blake believed in the incredible potential of young kiwis to achieve great things. He knew that inspiring leaders of any age could be found in every corner of New Zealand. The Sir Peter Blake Young Leader Award, in association with Westpac, recognises young people who have shown promising leadership in their schools and communities. The award is made to one student in each primary and intermediate school as nominated by teachers and peers. Sir Peter showed all of us, there are leaders and there are dreamers. Leaders make things happen. Dreamers have a vision. The truly special people do both. The first step to making these dreams happen is to believe in yourself, and to believe you can do it. 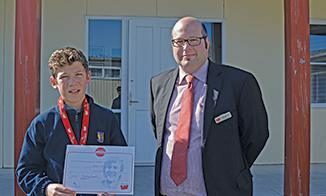 Clinton Grimstone from the Wespac Bank Levin presented Kees Sims, Year 8, his Young Leaders Award at our assembly on 17th August. Kees is a very deserving recipient of this award and we look forward to seeing him grow into leadership roles at college and in the community. Well done Kees! Earlier this year, Jordan Potaka, was the first Ōtaki College Student to have completed this training and develope good emergency response and risk awareness skills as part of the Youth in Emergency Management programme. Jordon will be presented with his Certificate at Parliament by the Hon Peter Dunne, Minister for the Department of Internal Affairs. This will take place on Thursday 15th October. We have recently had two students, Jess Pain and Shane Dinnan, return to college after completing the gruelling 3 week Mind, Body and Soul course at Outward Bound in Anakiwa. This course is designed for young people still at college to step up and make the most of their final years at college – or get ready for their next step after college. Both students made new mates and got fit by experiencing awesome outdoor challenges. The course is designed to be mentally, emotionally, and physically challenging. To complete this course is an outstanding and life changing achievement! My sincere congratulations to Shane and Jess.